July 11, 2015 day trip. The Metropolitan New York Bus Association (MNYBA) welcomes fellow ERA members on a visit to Baltimore, the “Charm City,” where there is much to observe in the transportation field. 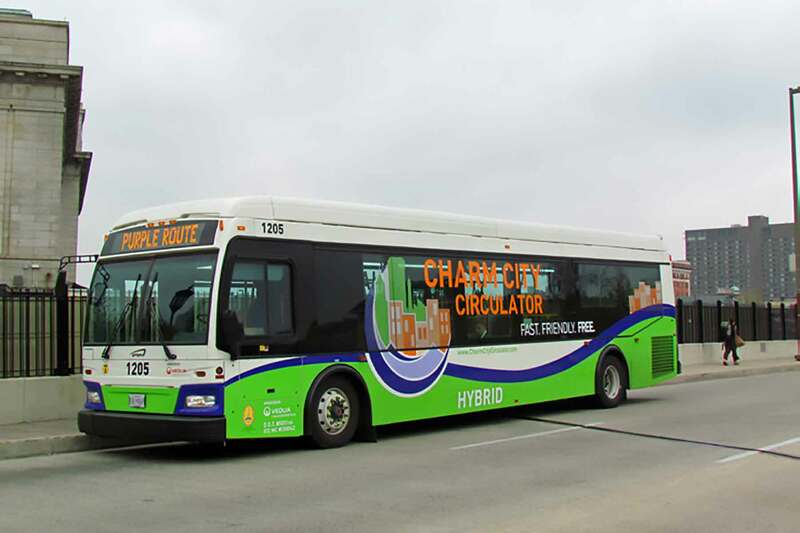 We plan to be guests of the Charm City Circulator, a relatively new company that specializes in sightseeing (they have Designline buses). Next, we plan to go to Baltimore MTA’s large Washington Boulevard bus facility where samples of the entire MTA fleet may be observed. 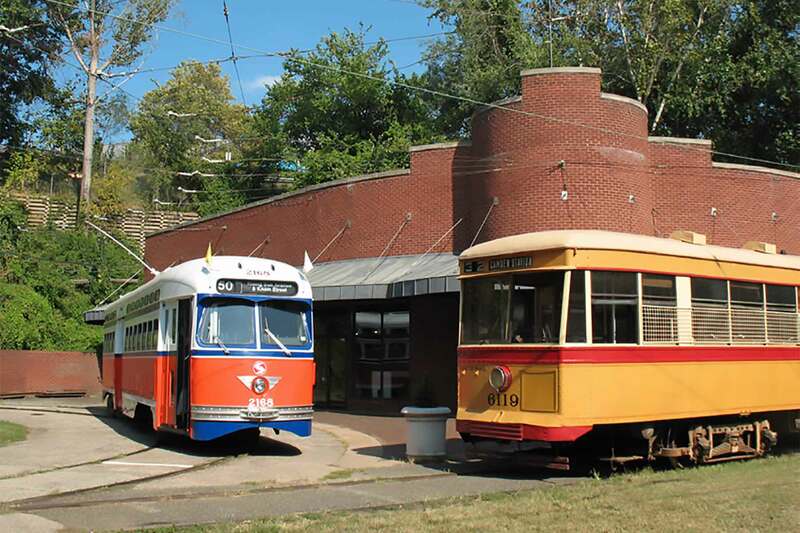 The final stop is at the Baltimore Streetcar Museum — one of the finest in the country — where local historical vehicles as well as rides on cars from Philadelphia and Newark will be available. There is a great bookstore! 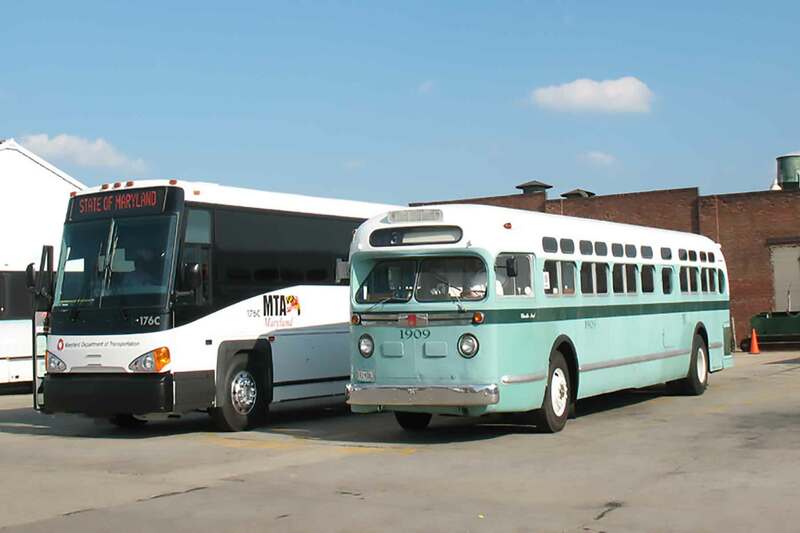 Various Baltimore historic buses may appear at any time during our trip. Participants may depart from either Times Square or Metropark. You will need to mark your desired boarding stop on the order form. Times Square | 8:00 AM Stop #1 meets on 8th Avenue between 40th and 41st Streets, in front of the New York Times building. We will be leaving at 8:00 sharp! Metropark | 8:40 AM Stop #2 meets at the Metropark NJT/Amtrak station in Iselin, New Jersey. There is all-day paid parking. We will be leaving at 8:40 sharp! Click here for the order form. Online ticket sales are not available for this event.